Do You Like to Play Golf? 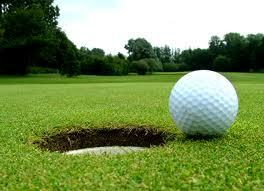 Join the 12th Annual MWV Chamber Golf Tournament! Time to tee up at MWV Chamber of Commerce’s 2013 Spring Golf Tournament – Friday, May 17th at the Indian Mound Golf Club in Center Ossipee! Get a foursome together for some great golfing and fellowship with Friends, Coworkers, and Industry Peers. There will be plenty of food, drink, and fun on the course! The perfect opportunity for those who would rather spend a day on the greens than in the office! For area businesses and individuals looking to show their support for the chamber and the Tatum Riley Brett Fund, tee/green sponsorships are available at $200. Prizes will also be awarded to 2nd & 3rd Place Teams, Longest Drive Women/Men, Closest to Pin Women/Men, Lowest Score Women/Men, Closest to Line Women/Men and Putting Contest Women/Men. For more info: visit our website at www.mtwashingtonvalley.org or contact Mary at mary@mtwashingtonvalley.org or 356-5701 ext. 305. Previous PostHow to Grow a Giant Pumpkin with Champion Pumpkin Grower Bruce HookerNext PostGreat Family Activities at Theater in the Wood!